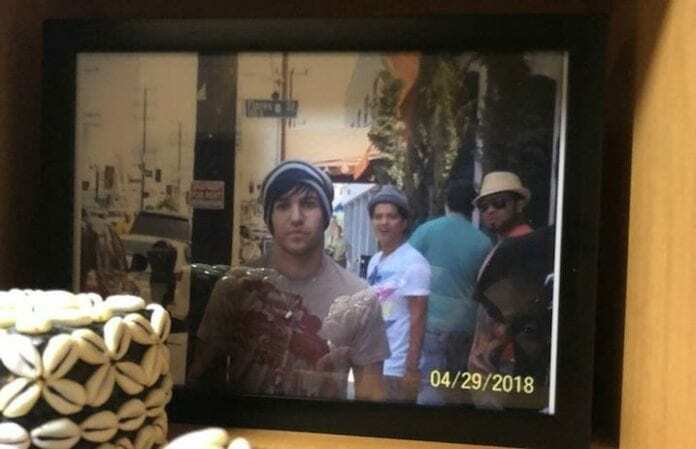 Fall Out Boy's Pete Wentz observed the 10th anniversary of his viral photo with Bruno Mars in style! See how the musician chose to commemorate the classic meme pic's historic celebration in the revealing tweets below. “Didn't want you to think I forgot,” Wentz tweeted on Monday, a day after the surreal 2008 photo of himself and singer Bruno Mars on the streets of Los Angeles turned 10. “Can't believe it's been ten years,” he added. The tweet included four images of what the Fall Out Boy bassist described as evidence that he “redecorated [his] hotel room in Singapore just a bit,” the pics showing a framed print of the famous Wentz-Mars photo on display.